Think thousands of flowers, public declarations... and some illegal pie smuggling, too. As Ryan Reynolds admits that he recently smuggled apple pies over the Canadian border to take home to his wife Blake Lively, we’re charting the most romantic things celebrity couples have ever done for each other. Because we all do crazy things for love, right? ‘My wife is a foodie and loves these apple pies they make in Vancouver where I grew up, so I grabbed a bunch of them [before] heading back down to the States and across the border,’ Ryan tells this week’s Graham Norton Show. Unfortunately, border control got a, um, whiff, that Ryan may have something to declare and made him sing I Swear before was allowed to pass. ‘I was on my way through the border eating pie by the next stop.’ Really, what even is your love if you wouldn’t risk prison smuggling a pie for your bae? Money can’t buy love. Of course it can’t. But if you’re Kimye, it sure can buy a lot of flowers. Take the couple’s wedding in Versailles, where entire walls were coated in blooms for Kim. Or every Mother’s day, when Kanye sends his wife ‘a couple of thousand’ roses on behalf of daughter North West. Where have all the flowers gone? There in Kim Kardashian’s hotel room, that’s where. When Ben Affleck was trying to impress Jennifer Lopez back in 2002 (she was still a little bit married to Chris Judd, you see) he took out a whole page advertisement in US magazine Variety, listing all of his favourite things about JLo, including her ‘beauty’ and ‘true grace’. 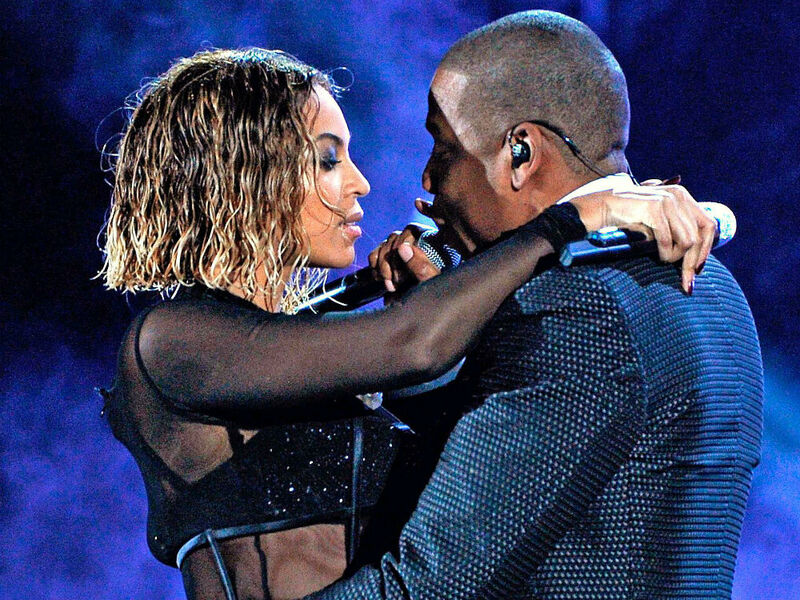 Back in ’04, when the Crazy In Love couple were still getting to know each other, Jay Z surprised Queen Bey by splashing out A MILLION DOLLARS on a Rolls Royce for her 25th birthday. Yup, you read that right. Admitting that you’re crazy, stupid, ridiculously, over-the-top in love is nice. But doing it while jumping on Oprah’s sofa, on live television, is a whole other statement. Yes how could we not include Tom Cruise’s infamous 2005 declaration. Angelina Jolie and Billy Bob Thornton Nothing says I love you like wearing a vial of your soulmate’s blood as a necklace, does it? Well that’s what Angelina and Billy Bob thought when they were married back in 2001. We all know David loves a tattoo, but in 2007 he declared his love by having his favourite sultry picture of wife Victoria inked forever onto his arm. Can you spot VB on his left arm? Brad bought his wife Jennifer a pretty major present back in 2004 – a £3million yacht. The 165ft Kalizma was originally owned by Richard Burton who, in 1967, had bought the boat to congratulate wife Elizabeth Taylor on her Oscar for Who’s Afraid Of Virginia Woolf?. Unfortunately the couple split just a few months later. 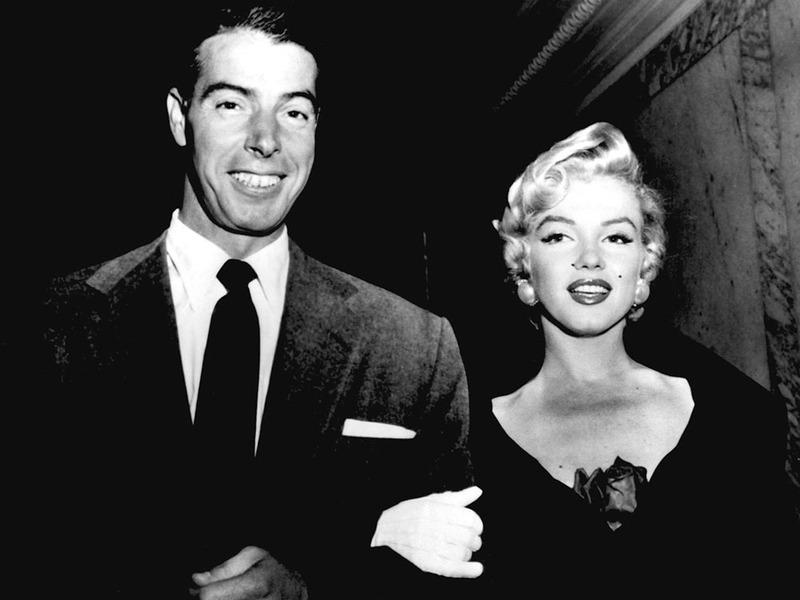 They had only been married for nine months before she passed away, but Joe Dimaggio and Marilyn’s relationship was full of romantic gestures. After her death, Joe placed a standing order for long-stemmed roses to be delivered to the icon’s grave three times a week for the next 20 years. When filming schedules separated the couple in 2013, they wrote to eachother. ‘It was quite romantic in a way,’ Angelina would later say. ‘We decided to be of that time, when we could imagine he was in the European theater and I was in the Pacific theater, and we wrote handwritten letters to each other that were very connecting for us, thinking of the people that were separated for months, if not years, at a time back then.’ Sometimes it’s the simple things, isn’t it?